CIX Trader has already developed a loyal following among traders, who demand an added level of market resolution and transparency designed specifically for retail traders. information you can view. 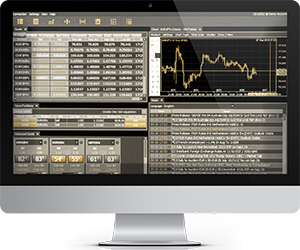 CIX Trader is the latest downloadable platform with improved reliability, speed and charting, it delivers a whole new level of trading functionality, plus specialist features for our more advanced traders. CIX Trader applies our expertise in liquidity and order flow management to a broad range of instruments and trading functionalities, whilst demonstrating our dedication to client service of the highest quality. The result is a secure, robust and user friendly solution for any trading environment. 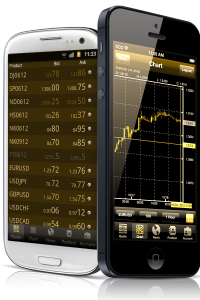 CIX Trader is also available as a mobile version on IOS tablet and Phones as well as Android tablets and phones. The customisable nature of the CIX Trader desktop platform means traders can create their own preferred trading layouts. Together with a professional charting package and numerous risk management tools, the platform offers an extremely comprehensive trading environment for all experience levels. 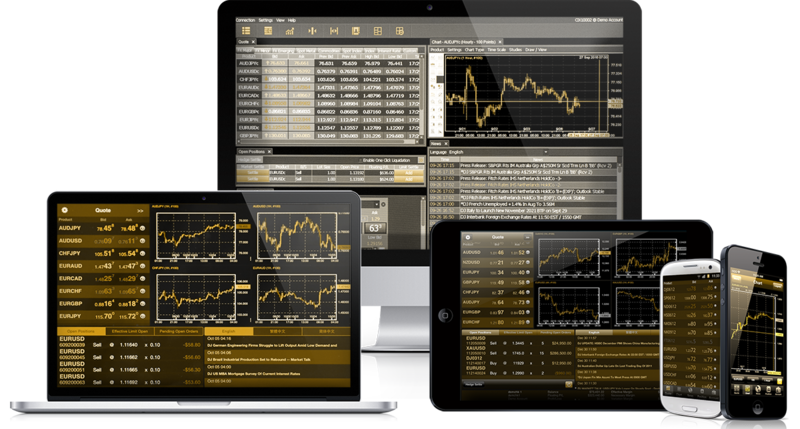 CIX Trader mobile versions has all the features of the PC version, access your account summary and open positions, trade or view live prices and charts whilst on the move or away from your PC. The price you see on the quote screens of CIX Markets is the current market price, when you place a market order you are sending us an instruction to buy or sell at the market price available at the time our Electronic Trading System (ETS) receives the order. Please be aware that in fast markets after an event has taken place like Non-Farm Payrolls then the market move between you placing the order and the ETS receiving the order could be significant and in this case the order may be rejected. A Limit or Stop order is an instruction to buy or sell if the price reaches a certain level. An order essentially contains two variables, price and duration. The duration is the time period that the order remains active. The price is where the order should be triggered. A Limit order is an instruction to buy below or sell above the current market price, if that price is reached during the order duration. A Stop order is an instruction to buy above or sell below the current market price, if that price is reached during the order duration. At CIX order levels must be a certain distance away from the current market price. These levels are set per instrument. Daily – A Daily order remains active in the market until the end of that trading day. Good till Friday – A GTF order remains active in the market until the end of Friday of the week the order is placed. Good till Cancelled – A GTC remains active in the market indefinitely until either the price is hit and executed or the order is cancelled. These are limit (take profit) orders or stop loss (limit loss) orders that are attached or linked to open positions. These can be placed on the CIX Trader system either: 1. After the position has been opened, through the Open Positions window, the open position that you want to place an order for, under Limit Settle, click Add: OR 2. At the point of placing the market order by clicking the Add Limit Settle for New Open Order box. For either method select the duration of the order either Daily or GTF or GTC; select the type either Limit Price or Stop Price or OCO (One Cancels Other) to set both and enter the order levels. These orders can be viewed, amended or cancelled in the Limit Order window under the Limit Settle tab. If the open position is closed then any Limit Settle Orders that are linked to the position will be cancelled. These are limit or stop orders that open a new position when the price reaches a pre-set level, if you want to sell below or buy above the current price you would place a stop (entry) order and if you want to buy below or sell above the current price you would place a limit order. On the CIX Trader system limit open orders are placed from the Order Entry ticket window under the limit Open section at the bottom of the ticket. Select the direction of the order either Buy or Sell; select the duration of the order either Daily or GTF or GTC; select the type either Limit Price or Stop Price or OCO to set both and enter the order levels. These orders can be viewed, amended or cancelled in the Limit Order window under the Limit Open tab. 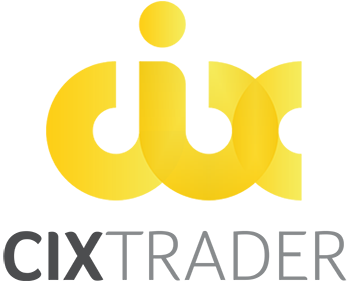 An OCO is the simultaneous placing of a limit and a stop order. Two orders with the same price and duration variables are placed above and below the current price. When one of the orders is executed the other order will be cancelled. For example: price of EUR/USD is 1.4140. You want to either buy at 1.4295 over the resistance level in anticipation of a breakout or initiate a selling position if the price falls below 1.3985. Therefore, your buy order will be executed when 1.4295 is reached and the sell order will be automatically cancelled at the same time. These can be Limit Open Orders or Limit Settle Orders. An If-Done Order allows you to set the Take Profit and the Stop Loss price for your limit open or stop entry order. This is an easy way to place stops and limits on a trade that may be opened in the future if a certain price target is reached. You do not have to worry that if your limit order is executed while you are away from your trading system you will have no Take Profit or Stop Loss Orders in place. You first set the “IF” criteria for the opening limit or Stop Order and then set the Done criteria, the Take Profit and/or Stop Loss relating to the “IF” criteria. To assist our customers in managing their trading risk we offer a wide range ofdifferent order types. These orders can help you manage the risk on your open positions or enable you to open new positions if the market reaches certain levels or trigger points. More than 50 built-in indicators and tools help simplify the analysis. Nine timeframes available for each financial instrument providing detailed analysis of quote dynamics. Enables you to create and design your own technical indicators and Expert Advisors (EA’s). Automatic market updates, user-friendly layout, internal news updates and more. Integrated Open Source Development Language with vast user community (MQL4). 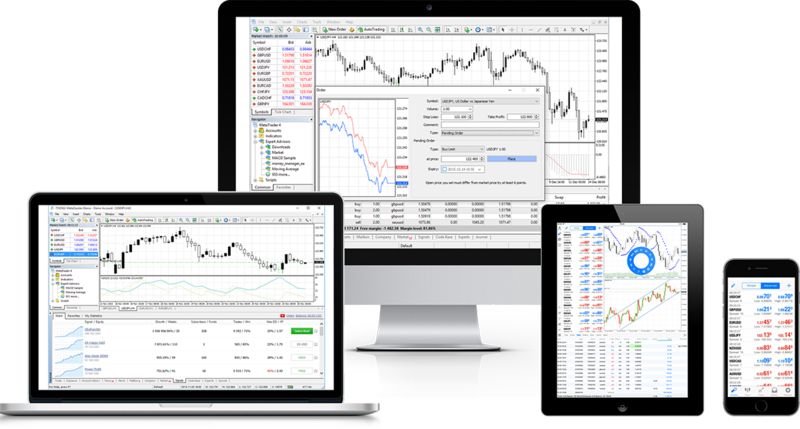 MetaTrader 4 is one of the most popular CFD and FOREX trading platforms in the world. It provides the necessary tools and resources to analyse price dynamics of financial instruments, make the trade transactions, create and use automated trading programs (Expert Advisors). Please refer to CIX Trader Order Types, the only difference being that only Good Till Cancelled (GTC) Order Durations are accepted via MT4. Apple, iPad, and iPhone are trademarks of Apple Inc. registered in the U.S and other countries. App Store is a service mark of Apple Inc. Android is a trademark of Google Inc.